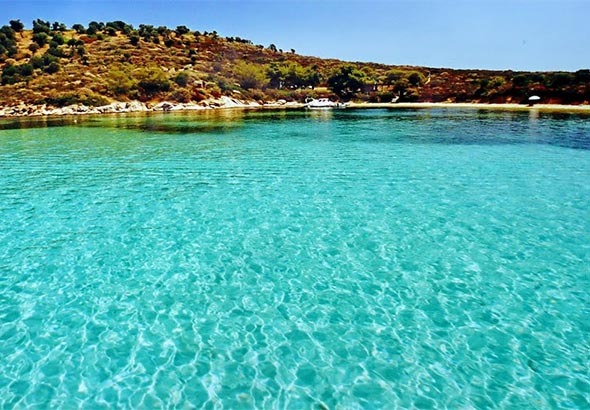 Vourvourou is a popular tourist resort, a few miles southeast of Agios Nikolaos in Sithonia Halkidiki. 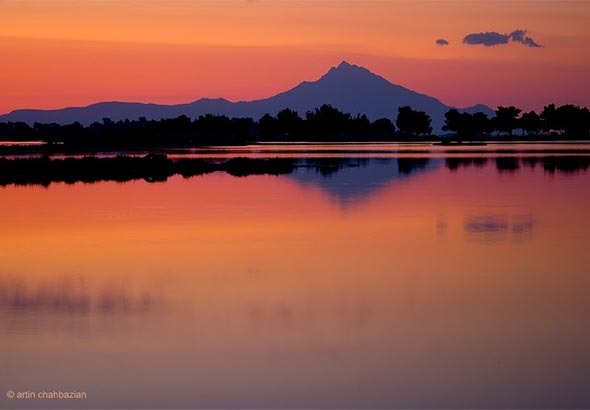 It is about 15km from Nikiti and 110km from Thessaloniki. A complex of indented coastline and small islands very close to the coast create a landscape of outstanding natural beauty. There are nine islands in total off the coast. 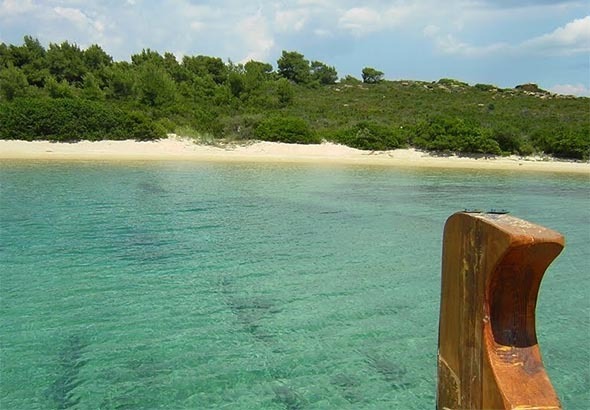 Diaporos is the largest of them, a green island with a characteristic natural anchorage, refuge of seafarers for centuries. 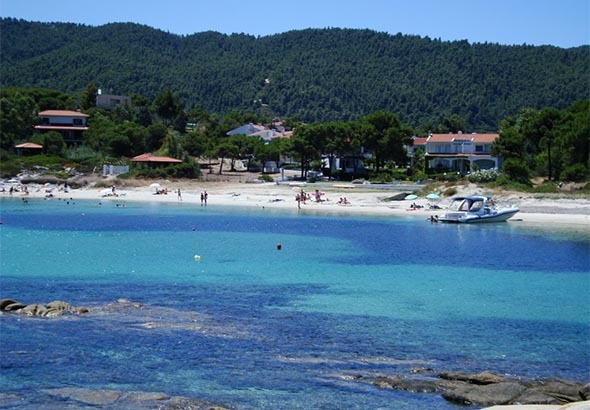 The main Vourvourou beaches are the: Livari, Xifara, Karydi, Bara and Fava. You may visit the islands by boat. In summer, especially during the high season, Vourvourou is a busy place. So if you want to stay there, you should plan your vacation in advance or visit the area outside high season. Then you will get the best prices and mostly enjoy nature. Vourvourou also offers escape to the mountains. The foothills of Itamos, the main mountain in Sithonia, end up in Vourvourou. There are many dirt paths that you can follow either on foot or by bike or car. 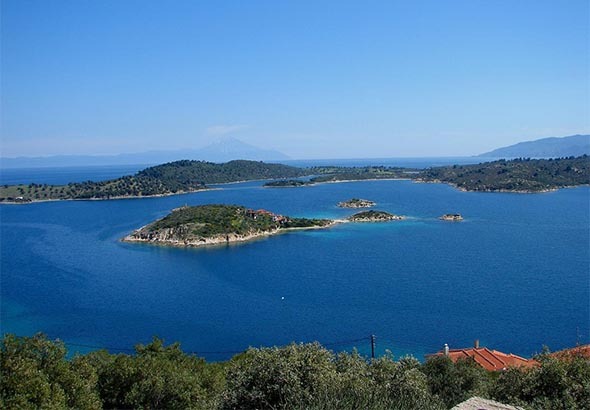 From the top, you can admire the beautiful coastline of east Sithonia and of course unparalleled views of Mount Athos. Before the great tourist development in recent decades, Vourvourou was a small settlement of fishermen who took shelter in the natural anchorages of the area and lived by the rich sea fish. In the 60’s, the summer resort of teachers of the Aristotle University of Thessaloniki began to develop in the area. It is still a prototype settlement in terms of architecture, a rare example for Greece, where human interventions have been fully incorporated into the natural environment. 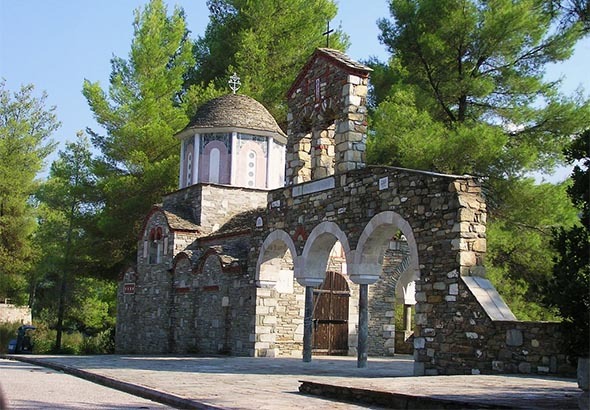 A church of exceptional architectural design is the temple Agios Theonas, work of Nicholas Moutsopoulos. 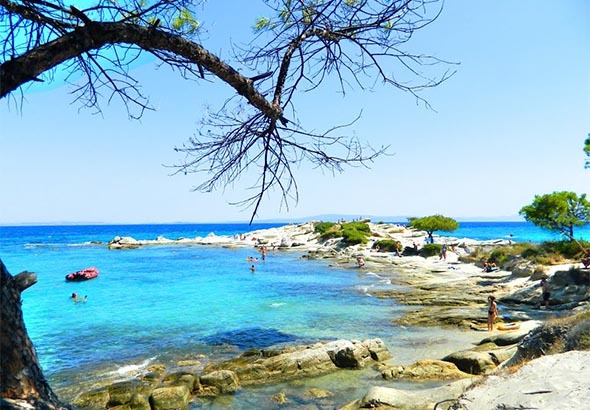 The 70s and 80s brought the intense tourism development in Halkidiki. Such a beautiful place like Vourvourou would be impossible not to participate. Many hotels and apartment complexes have been built that are currently offering quality accommodation to visitors. 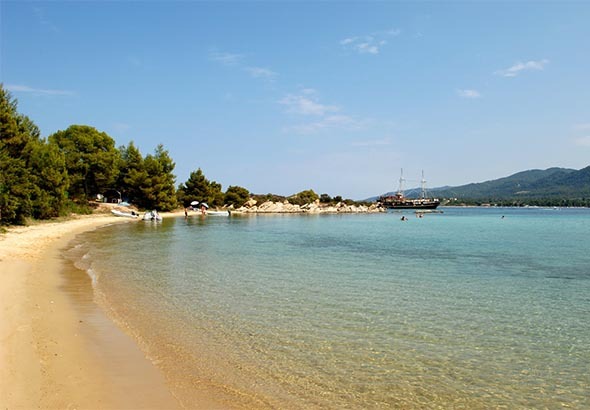 ‹ Plan your holidays in Halkidiki now!